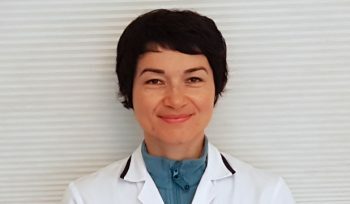 The Oxford Clinic is a private physiotherapy clinic led and owned by Pinar Aydemir, serving Barrow, Ulverston, the Furness Penisula and South Cumbria. It is located at 33 Oxford Street, Barrow in Furness. We specialise in the advanced assessment and treatment of musculoskeletal problems. Our aim is to relieve your symptoms and get you back to your usual self as soon as possible. We offer the highest standard of care in a friendly environment. The Clinic treats a wide range of conditions from injuries to chronic pain and post-operative rehabilitation. Our patients include children and adults of all ages. We also advise on postural problems, exercise regimes and work-station assessments to help prevent injury in the future. If you are not sure if physiotherapy can help your condition please contact the Clinic. Pinar Aydemir and her team will be happy to advise you. Manual therapy is a technique where physiotherapists use their hands to manipulate, mobilise and massage the body tissues. It can help to relieve the pain and stiffness, improve movement and blood circulation, and promote relaxation. Acupuncture stimulates the sensory nerves in the skin and muscles to relieve pain, reduce muscular tension and increase mobility. It can be combined with other treatments for sports injuries, back and neck pain, arthritis, headaches and soft tissue injuries. Electrotherapies such as ultra-sound, and interferential therapy are used to enhance the healing process in conjunction with other treatment methods. Electrotherapy is very effective when used alongside other treatments such as manual therapy. Kinesio tape is applied over muscles to reduce pain and inflammation, to relax overused or tired muscles, and to provide support. It is used for sports injuries, carpal tunnel syndrome, tennis and golf elbow, repetitive strain injuries, back, knee and shoulder conditions. We are committed to working together with you to set your goals and help you achieve them. We deal with people from all walks of life, from the office or shipyard worker to the professional athlete, from the school child to the retired. We’re here to listen and use our expertise to make a difference in your life. In a welcoming and professional environment our holistic approach to therapy and treatment aims to achieve a better quality of life going forward. We are committed to keeping our knowledge and skills up-to-date, attending conferences and courses to ensure you get the best possible care. Treating the source reduces the risk of the problem recurring and speeds recovery. Sometimes where it hurts is not the cause of the problem. All our therapists are fully registered with the HCPC. They have many years experience dealing with symptoms similar to yours. 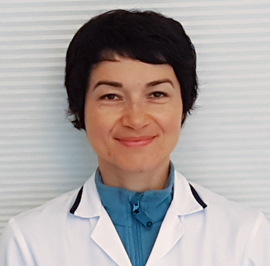 Pinar Aydemir, our head physio and co-owner of the Clinic, has worked in private practice for 13 years and has a warm and caring style. 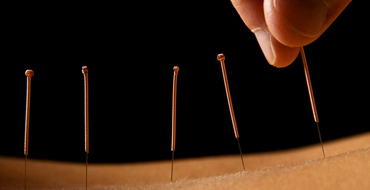 She specialises in manual therapy and acupuncture. 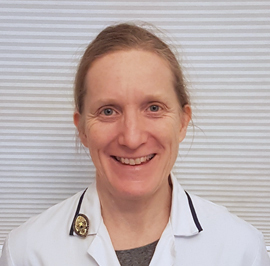 Becky Rawnsley is a Chartered Physiotherapist with many years of experience working in the NHS. She specialises in the treatment of musculo-skeletal conditions. I would like to thank all the staff for their friendly and professional behaviour and in particular Pinar for the excellent remedial treatment I receive for my condition. Big thanks to all. I have been going to see Pinar for treatment, on and off for several years for my back, neck and most recently my knee. I have told Pinar countless times that she has magic hands as the different problems I have had have been alleviated after only 1 session through the different methods Pinar uses and also the advice and exercises shown to me to help with recovery. I can't thank her enough and would highly recommend Pinar to anyone. My physiotherapist is a miracle worker; friendly and knowledgeable and takes care to explain the treatment to you, also giving helpful post-treatment advice. The range of techniques on offer is impressive; I am amazed at how much better I feel after a treatment. I would definitely recommend the Oxford Clinic to anyone. I'd just like to pass on my heartfelt thanks to you for expertly overseeing and supporting my excellent recovery from my knee injury. I am convinced that without your help my recovery would have been very much less successful and my injury would have been somewhat disabling. Again, thank you so very much. I cannot stress enough how grateful I am. Dear Pinar, thank you so much for all you have done for me. I honestly thought my feet would never be better. I take comfort in the fact that if I have any problems you are there. Thanks again. Welcome to the Oxford Clinic! Welcome to our new web-site for the Oxford Clinic. We look forward to seeing you in the Clinic. and hearing about your experiences here.